Happy Thursday everyone! Robin here with my inspiration of the week for Dies R Us! You really should stop by the shop and see how many new dies have arrived for the holidays! 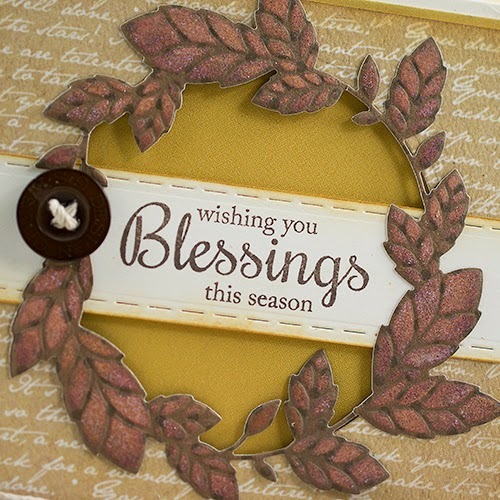 My card started with the Thicket Wreath die from Poppystamps. I cut the wreath from a tone on tone polka dot dark brown card stock. This die does double duty as a stencil, great idea Poppystamps! By leaving the paper in the die I was able to color the leaves quite easily! I used the Paper Smooches Dot & Dashes to create the stitched edge on my sentiment banner. 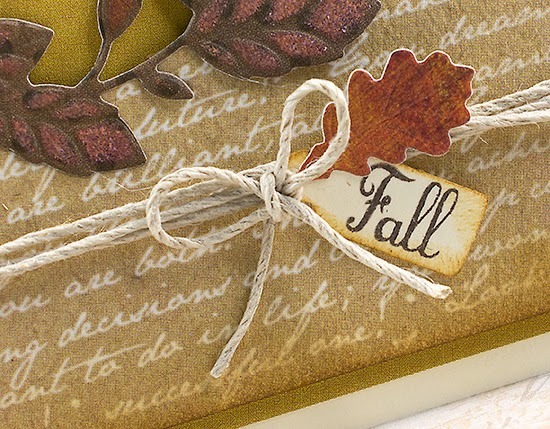 The little Fall tag is accented with a leaf from Impression Obsessions Small Leaf Set, too cute! The card is finished with a few wraps of twine, small twine bow and a button! Just a quick reminder, shipping is FREE when your order is $35 or more! I think that is the lowest minimum on the web! Be sure to check out all the Design Team members inspirations for the week on our Dies R Us Blog! And, our Challenge Blog will have a new challenge starting next week; the theme is "Halloween". Another beautiful card, Robin! 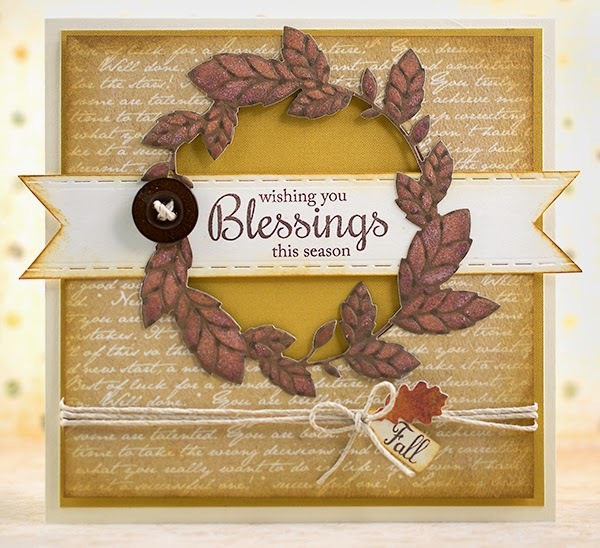 I LOVE that wreath die! And with the cute banner behind it, I could see this for a lot of other holidays & events too! Your cards are always gorgeous! Thanks Sherri, I love multi-use dies!